This post contains affiliate links. You can read my entire disclosure policy here. I attended a state college right here in my home state of South Dakota. Back in the fall of 2003 when I entered school, it cost roughly $7,000 a year for 16 credit hours per semester. I always had a job in college. Sometimes I had multiple jobs. As a freshman I worked about ten hours each week, but by my senior year I was working as many as forty hours a week between three different jobs. Holding full-time positions in the summer also ensured I could focus on my schoolwork during the school year without having to worry about money as much. I was a resident assistant in my dorm for two years. This saved me room and board, or roughly $10,000. I also received over $20,000 in scholarships over the course of four years. If there was a local scholarship, state scholarship, or even one on Fastweb that I thought I looked qualified for – I applied. I walked away from my undergraduate degree with roughly $20,000 in student loan debt. Fast forward a little bit. I started my masters degree in the spring of 2008. I took out the maximum amount of federal loans they would give me, even though I didn’t really need them. (What was I thinking?!) Plus I decided to just defer on my undergraduate loans. Why bother paying on them when I didn’t have to? (What was I thinking moment #2?) So when I graduated with my masters degree in 2009 I owed another $10,000 for a whopping total of $30,000 in student loan debt. Paying off our student loan debt was not glamorous or anything overly special. When I graduated with my masters degree in May 2009, I started paying off my debt right away. My payments were some weird amount like $307 each month. I took the Dave Ramsey snowball approach. I made the minimum monthly payment on everything. Then I would look at how much extra I could put toward loans each month and apply that toward the smallest loan. Some months it may have only been an extra $20, but I had the smallest loans paid off in three years. By May 2012 I qualified for some student loan forgiveness because I had taught at low-income schools for five years. You can read how I got $7,200 forgiven by reading this post. From there I really started paying everything off as quickly as I could! My initial goal straight out of undergraduate was to have my loans paid off within five years – which would have meant May 2012. I obviously was not there, but I was determined to have them paid off in seven! For nearly two more years I continued to pay on my smallest loans first. Anytime I had extra money – Christmas presents, birthday gifts, or tax returns – it went toward my loans. I was still able to lead a good life, enjoy plenty, and travel some. In February 2014 I made my final student loan payment. It was the greatest feeling to be getting married in May 2014 and not have any debt to hold me back! Do not take out more loans than you need! Sit down and actually calculate this. Figure out how much you need to pay the tuition bill. Figure out how much you need to live. Determine how much you should take out based on that. Work through college if you can while keeping your grades up. This will allow you to borrow less. Finish school as quickly as possible. I always intended to graduate in four years, but then I switched majors and thought it was going to take me 4.5 years. Thankfully I was able to take a few summer courses, one independent study course, and still graduate in four years. This move alone saved me over $1,000 just because the cost of tuition rises so much each year. Use the snowball effect to pay back the student loan debt if you can. Pay off the lowest amount first. Once that loan is gone, use the money you were spending there to pay off the next lowest. Continue in this way until all loans are paid off! If two loans are roughly the same amount, focus on the one with the higher interest rate. Just make sure to pay the minimums on all your loans so you’re not in default. Put any extra money you have toward your student loans. You can cut back as little on your daily life as you’d like, but the more drastic you are willing to be, the sooner your loans will be paid off and you’ll have more financial freedom! See if you qualify for any kind of student loan forgiveness. I’m so thankful I found out that I was able to get over $7,000 forgiven. Had I taught something slightly different, I would have had over $15,000 forgiven. To me, it wasn’t worth it, but it might be to you. Look into consolidation. If I had consolidated my loans, I would not have been eligible for my loan forgiveness. However, I definitely looked into this and recommend you doing the same. You might save quite a bit of money on interest alone. And you may be able to get all of your payments rolled into one, which will help ensure you don’t miss a payment when you have multiple. 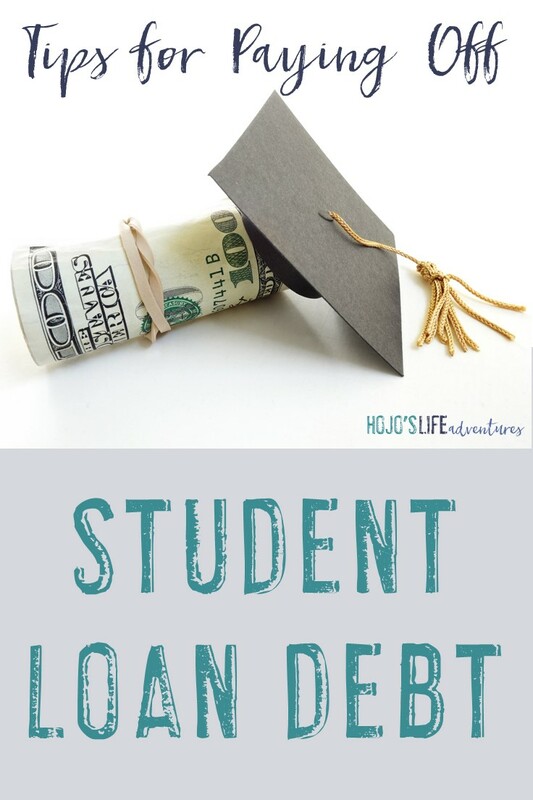 There’s my story and the tips to help pay off my student loan debt. 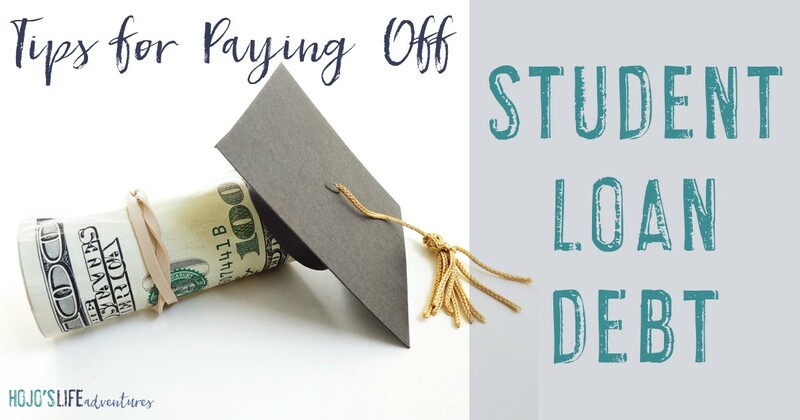 While you might not be one of those incredibly exciting success stories of paying off $80,000 in two years, you can still get your loans paid off and your finances under control in a quicker amount of time than the lenders tell you. Stick with it. Persevere. Pay. Be happy! Heather, I commend you on this piece, When I finished my masters and started work on my JD classes I owed roughly the same amount. When it was time to start paying back these loans, my grandmother, who at the time lived with my husband and I, had suffered a stroke which contributed to her early onset dementia. I remember the day when both the loan payment notice and her medical bills both arrived on the same day, totaling nearly $72,000 in debt. I couldn’t breath, and so during a panic attack I hid like a child under my kitchen bar, and cried for hours until my husband came home. We then started working the DR system, first with Financial Peace U. and then the Total Money Makeover series. It was hard. There were many days of pj &j and Netflix while paying back my loans. Had I not received a substantial grant I’m not sure I would have continued on for my JD. The entire time I was paying my school loans and my grandmother’s medical debt, I kept Proverbs 22:7 in the back of my mind, which helped me through it all. You are right, being debt-free is the only way to live! This story makes me day!